Look good, feel good! – How to choose the right active wear for you! There’s nothing worse than tripping over baggy, long leggings or suffocating in a sports bra. As with everyday clothing, workout clothes offer tall, petite and plus size options. Find brands that carry these different options if you find regular sizing uncomfortable. Spark People have picked out 10 of the best active wear for every shape, size and workout http://www.sparkpeople.com/blog/blog.asp?post=20_of_the_best_leggings_for_every_shape_and_workout. Women’s Health mag have rounded up a selection of the best workout leggings for petite frames: http://www.womenshealthmag.co.uk/beauty-style/gym-wear/6234/petite-workout-leggings/. No more hitching up your waistband or bunching material round the ankles! Some fabrics are designed specifically for intense, sweaty sessions while others just hold it all in! Choose your fabric based on the workout you are planning to do. The fancy cut out cotton leggings work well for low intensity exercise where you don’t build up much of a swear but if it’s a warm, sweaty running, hiit, hot yoga or boxing style session; spandex, nylon and bamboo are best designed for keeping your body cool and pulling moisture away from your skin. 3. A correct fitting/ comfortable sports bra is your new best friend! There’s no point doing your research and buying comfortable, well fitting gym clothes if your under garments are all wrong. There are two types of bra’s when it comes to working out. Compression: very secure, ideal for high impact workouts for an A or B cup. Encapsulated: individual cups ideal for the larger breasted women and more efficient in keeping sweat at bay. Check out Fitness Magazine’s ‘Best Sports Bra’s for you size’: https://www.fitnessmagazine.com/workout/gear/sports-bras/2011-guide-best-sports-bras-reviews/ to help choose the right bra for you! Lightweight underwear and socks made from materials such as nylon are best for comfort and letting your body breathe. What you are planning on doing in your shoe and the intensity of activity are very important factors to consider when it comes to buying a new pair. Every unique pair of feet has its own needs while every pair of shoes offers different results. Runner’s World have picked out 6 different features to look out for when buying your next shoe as well as mistakes to avoid: https://www.runnersworld.com/running-shoes/how-to-buy-the-right-running-shoes . If you exercise 2 or 3 times a week, changing your trainers once a year should be sufficient. If you exercise more intensely and regularly you should look at changing your shoes every 3 – 5 months for optimum support. Alex from Team niix’ top picks for spring…. As a 400m hurdles athlete comfort is my number 1 priority. That being said I Love bright colours and jazzy styles for the spring. I’m a big fan of Nike and Gym Shark at the moment. Check out my top picks for a sunny track session…. 1. 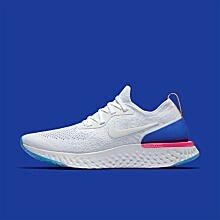 Nike Epic React Flyknit! Starting from the feet – These are my absolute favs for the spring/ summer! Not only are they pretty to look at but they are crazy comfortable and last forever! I don’t often get to train inside but on gym or particularly sunny days this is my go to! The seamless material is SO comfy and I’m loving this colour! The back detail on the sports bra is so pretty but equally comfy and supportive! I’m off to Spain next week for some warm weather training and that means shorts and crop tops are an absolute must! Nothing beats these nike pro shorts – I love all the colours and they are so perfect for training in the sun expecially when doing a lot of hurdling and speed work! 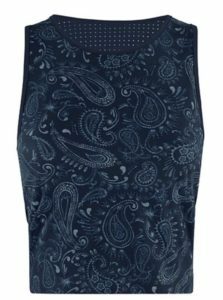 This new print from Sweaty Betty is the best for the sunnier days! Sweaty Betty are fab for providing the comfortable and supportive sports bras. Sports bras and crop tops are so important to get right, make sure to try before you buy! With the amount of kit I have to carry around for training a big enough yet still stylish bag is essential. 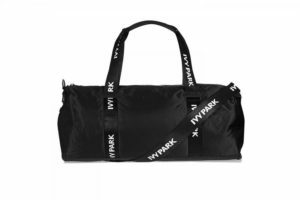 This ivy park holdal has the perfect amount of room but doesn’t look bulky or too big. These are also available in H&M for a really good price!